West Wendover is a small city in Elko County, Nevada, United States. The population was 4,410 at the 2010 census. It is part of the Elko micropolitan area. West Wendover is located on the eastern border of Nevada and the western edge of the Great Salt Lake Desert and is contiguous with Wendover, Utah, with which it is sometimes confused. Interstate 80 runs just north of the cities, while Interstate 80 Business (Wendover Boulevard) runs through the two cities. 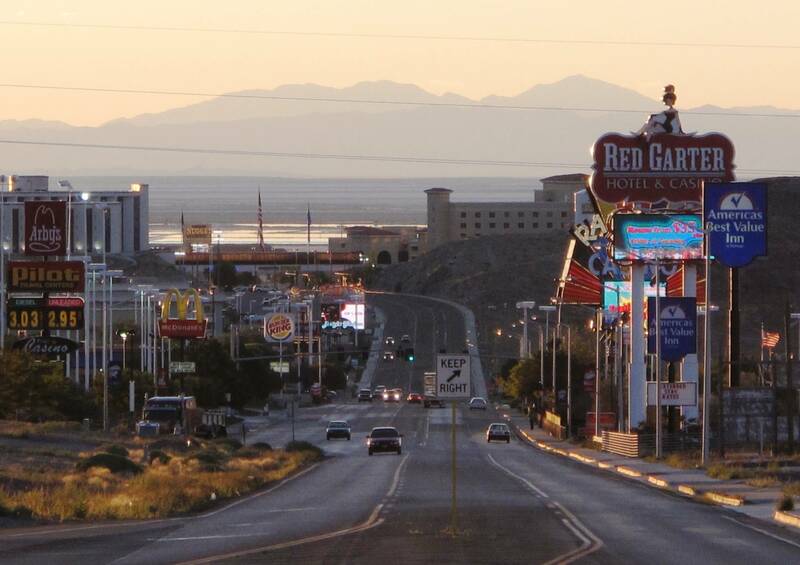 West Wendover began to develop in the 1930s and 1940s with the introduction of legalized gambling in the State of Nevada. William „Bill“ Smith founded a small cobblestone service station that provided a needed rest to weary travelers crossing the desert terrain of western Utah and eastern Nevada. Today this facility is known as the Wendover Nugget. It wasn’t until December 2001, when the former State Line Casino and Hotel came under new ownership, did this long-standing organization lose its place as the oldest continually operated gaming license for a casino in the State of Nevada; over 66 years. In October 1999, the U.S. Department of Transportation moved West Wendover out of the Pacific Time Zone due to the strong economic ties between West Wendover and neighboring Utah. This made the city of West Wendover the only portion of Nevada legally in the Mountain Time Zone. The unincorporated towns of Jackpot, Jarbidge, Mountain City, and Owyhee in northern Elko County also observe Mountain Time, but only on an unofficial basis.